In 1910 Field Marshal Lord Kitchener visited New Zealand to advise on its military requirements. He recommended the creation of a staff corps and, in response to a request by the New Zealand government for a suitable commandant of the New Zealand Defence Forces, the Sandhurst-educated Alexander Godley was appointed for five years. 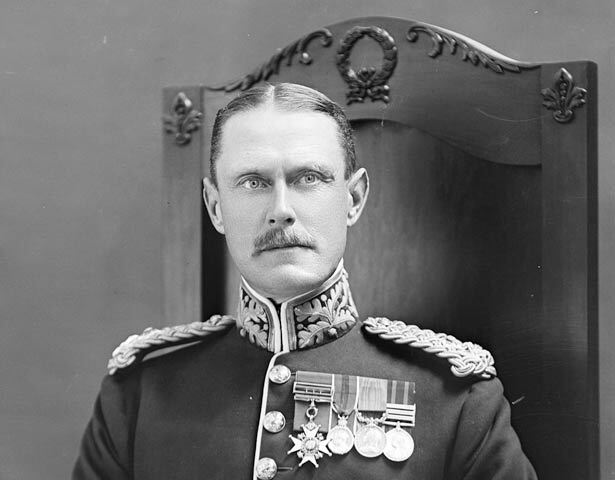 It was Godley’s job to set up a modern territorial force able to integrate with other British forces and based on the system of compulsory military training introduced in 1909. Godley had considerable talent for organisation, and in just three years he did a remarkable job laying the basis for a well-trained Territorial Force and supplying it with up-to-date equipment. On the outbreak of the First World War in August 1914, as a consequence of the measures Godley had taken, a suitable force was available to occupy German Samoa and, within six weeks of the declaration of war, the Main Body was ready to sail for Egypt and the disastrous Gallipoli campaign. Here Godley and his troops were harshly tested, and further trials were to come following the transfer of the New Zealand Division to the Western Front in 1916. Some have blamed Godley for the heavy loss of life at the Battle of Passchendaele (Passendale) on 12 October 1917, but this is unfair – he was carrying out the orders of his superior, and the ultimate responsibility for the attack rested with British Commander-in-Chief Sir Douglas Haig. It had been raining heavily for days, and the mud, deep enough to drown in, prevented accurate artillery fire and the bringing up of reinforcements. The attack left 2735 New Zealanders dead, wounded or missing; the German network of barbed wire, well covered by machine-guns, was almost as intact at dusk as it had been at dawn. Godley remained responsible for the overall command of the New Zealand Expeditionary Force until November 1919. In 1920, after heading the occupation of the Rhine, he returned to England. We have 20 biographies, 40 articles, related to Alexander Godley.